This ambitious project is starting off with 45,000m² located at Finca el Trapiche, near the well known ‘Huerta del Prado’ urbanization and Don Miguel Hotel. This ‘green zone’ will be a beacon for the environment, local people and for tourism, and will include a wild wood of native trees and a special garden area designed for conservation using permaculture design techniques. Director Alejandro César Orioli explained that the main goal of Arboretum is to provide practical tools for environmental studies for the ARA (Area of Environmental Resources), promote environmental education through development and research programmes, courses, workshops, publications, tours of schools and organic landscaping. The site will provide a space where visitors can take part in learnig about sustainable land management within an educational environment that makes Arboretum the perfect venue for raising environmental awareness. 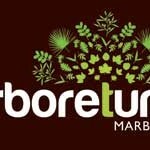 People can get involved with Arboretum in many different ways – the project will be open every day for people to visit as a public space, there is a membership scheme for just 5€ a month which includes a tree dedicated to each member, and there will be tree planting activities once a month. Starting in September there will be monthly weekend courses in sustainable education with professionals from all over Spain teaching permaculture, renewable energy, water conservation and this programme will run for the next 18 months. Oct 7 – 9: Permaculture course with Julio Cantos Gázquez, responsible for AFMed (Mediterrenean agro-forestry commission) and international consultant on sustainable design. Price 65€ per person, 15% discount for members. 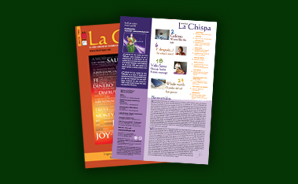 This entry was posted in Whole Earth and tagged eco living, environment, events, gardening, tree planting. Bookmark the permalink.